Barça Lassa dominated their match against MoraBanc Andorra (67-63), but were only able to confirm the win in the last moments thanks to a super effort from their opponents. Chris Singleton, with 16 points, was the top scorer in the game. In the first half, Ante Tomic and Singleton were the best players for the Blaugrana, ticking the scoreboard over nicely. After cruising into a 9-0 lead, however, they were then pegged back by the visitors (22-24, min 14). In the third quarter, Barca Lassa were very successful from the three point line, and they maintained a a good fluidity in attack as well as a high defensive tempo. It allowed them to surge 11 points ahead (48-37, min 25), but Morabanc Andorra dug in again and got back to within five (55-50). 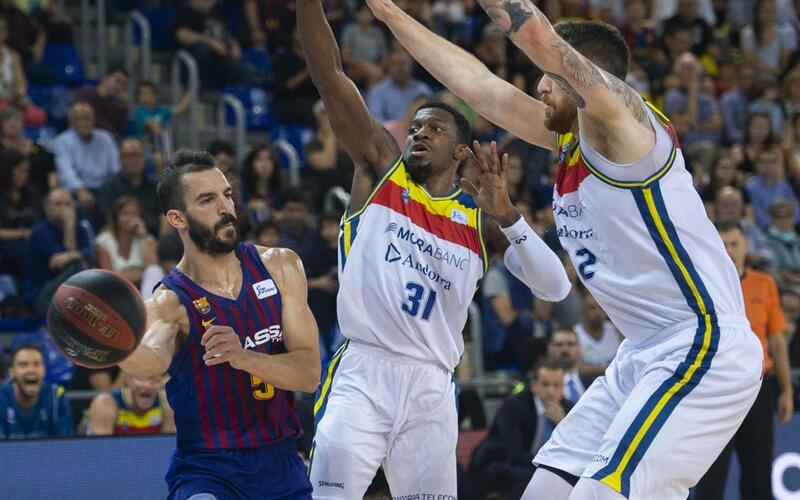 The match remained very close, and with two minutes until the end of the game (62-62, min 38), Barça Lassa struck a blow that their opponents were unable to recover from. Pau Ribas’ last-gasp effort ended the scoring (67-63), meaning that the hosts had their third victory in three games before debuting in the Euroleague next Thursday, October 11 at CSKA Moscow (7.00pm CEST).